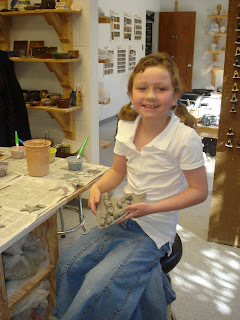 Cali loves her hand building pottery class. She's made a great friend in class and together they create masterpieces and play with the resident studio cat named Petey. Here she shows off her family of catapillars resting on a leaf. Let's hear it for the Arts!